The Barr & Stroud range of Spotting Scopes are a blend of superb optical quality, advanced mechanical design and rugged refinement that has produced an elegant range of Spotting Scopes that take the Barr & Stroud brand to yet another new level of performance and sophistication. Built to be reliable and robust there is a range to choose from that is not overwhelming but also meets most users needs. 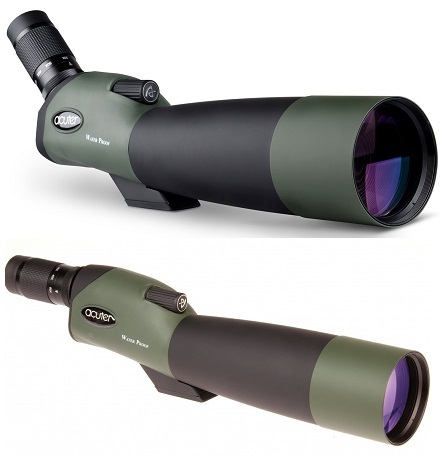 With excellent quality optical lens and a high build quality the Barr & Stroud spotting scopes are a good value mid-range choice for wildlife and bird watchers. This range of Spotting Scopes offers the amateur wildlife observer wonderful piece of kit that offers great value for money. Popular Barr & Stroud Spotting Scopes series includes Sierra and Sahara. Barr & Stroud Spotting Scopes are available in most demanding magnification ranges that are choice for bird watching, nature view and other outdoor activities. Barr & Stroud Sahara Target 20-60x80 Straight Spotting Scope: Barr & Stroud Sahara Target 20-60x80 Straight Spotting Scope feature multi-coated and BAK-4 high-quality prisms that provide high-contrast and clear image quality.